The Queensland cattle industry and polocrosse family has lost a widely liked, highly respected and fearless advocate for the region following a fatal gyrocopter crash. Scott Sargood shared the reality of the western Queensland drought in an interview with Channel 7 last year. Thousands have reacted with shock and sorrow to the news that Scott Sargood was killed while mustering cattle on a property near Charleville on Tuesday morning. The son of Robyn and the late Bob Sargood of Manresa at Augathella, Scott and his wife Adma ran Halton, a cattle property mid-way between Charleville and Morven. Mr Sargood was a champion polocrosse player, a member of the Tambo Polocrosse Club who played and coached the sport at all levels. Queensland Polocrosse Association (QPA) president Christine Franklin described Scott as a “true Aussie gentleman” who played a big role in making Queensland polocrosse the successful sport and business it is today. “Scott was involved in the QPA cattle enterprise, a funny and entertaining MC for our dinners, events and functions, or always available for a good yarn with a big smile and laugh at a polocrosse carnival. “He got the green shirt movement going for the farmers and had us all signing his petitions for such a great cause all the while fighting his own drought. 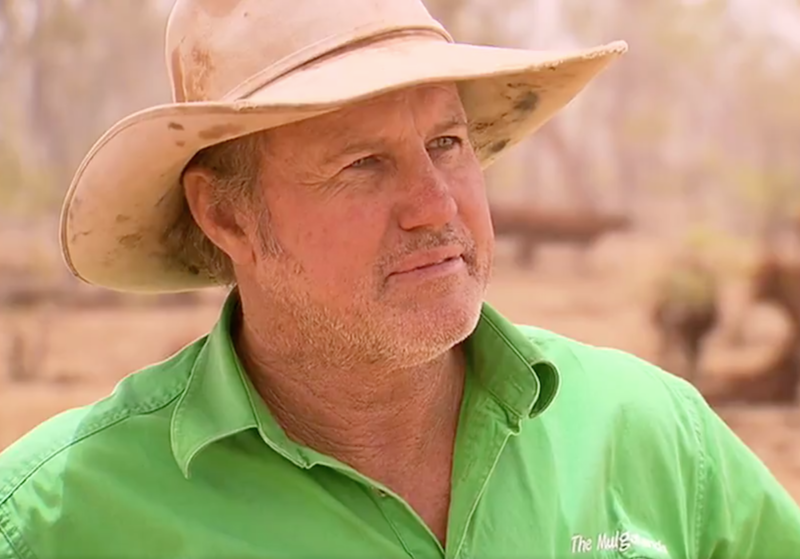 In more recent years he became more widely known as a fearless, steadfast and selfless voice for all western Queensland landholders affected by stringent new vegetation laws introduced by the Palaszczuk Queensland Government, defending the use of mulga as a sustainable fodder resource for livestock. Green Shirts Queensland movement founder Marty Bella said Scott and his family had “done great things” to promote the cause of agriculture, and his loss was a devastating blow. “Scotty has struggled with drought and done it tough for quite a while but was still concerned with the whole industry not just his own travails. “When my brother was badly hurt a few weeks ago Scott was one of the blokes to offer me help despite having a mountain of his own work. My sympathies and prayers are with his wife Adma, and with his kids Bonnie and Mitch. “I personally will miss a bloke that I have not known that long but grew to love. I am usually full of words but I must admit I am struggling badly here. Queensland opposition leader Deb Frecklington described Scott as a “farmer, father and an all-round good bloke”. What a wonderful example of a true Australian he was…My condolences to his family and friends, of which he must have had many..
Our thoughts are with you, Adama, Mitch & Bonnie. From your old LSODE teacher, Marianne Cremin & Lawrie Cremin, RAPAD.